ST. GEORGE — A semitrailer driver traveling on state Route 18 Saturday morning found his brakes overheating, which caused a small fire in the undercarriage. The fire was quickly extinguished, Hooper said. “The driver was hauling hay cubes coming down Highway 18 (North Bluff Street) headed to California,” Hooper said, adding it was a good thing the fire didn’t spread into the trailer, otherwise they would have had a much harder time putting the fire out. The driver said he was transporting 44,000 pounds of hay cubes from Beryl Junction to Victorville, California. No injuries or other property damage was reported. Units from the St. George Fire Department and the St. George Police Department responded to the fire. 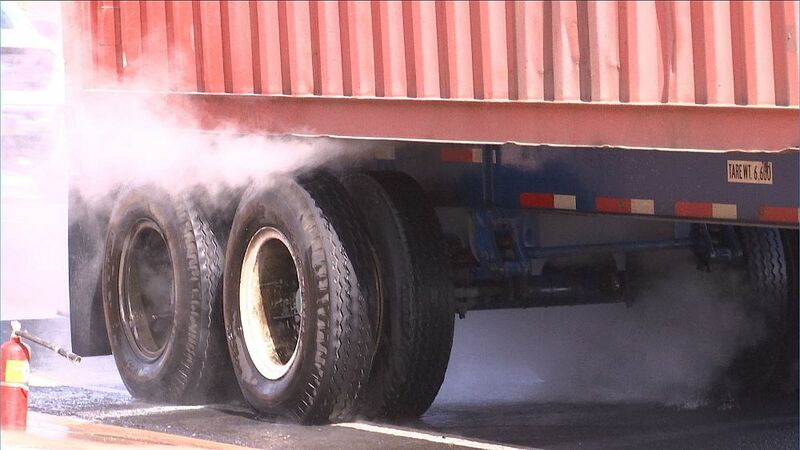 Traffic was slowed for about 45 minutes while the fire was extinguished.